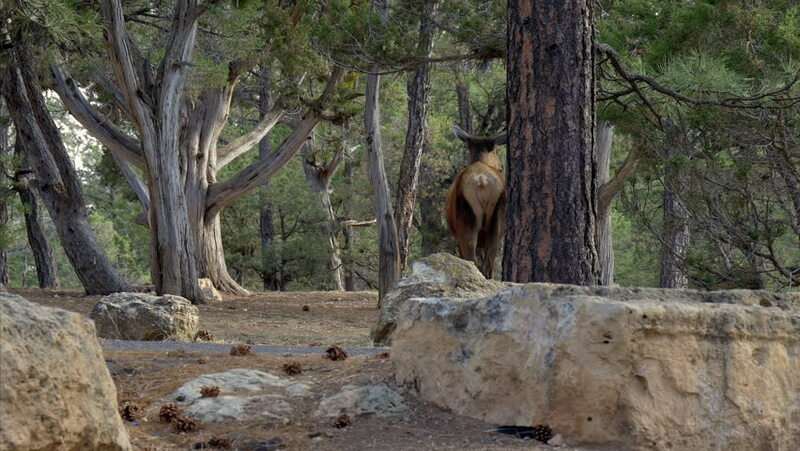 A female elk roaming through a campground ground then heading back into the wild through some trees. hd00:34View of the old destroyed brick wall with moss. Macro shot. 4k00:14Kaeng nyui waterfall in Vang Vieng, Laos. Tropical rainforest landscape with beautiful waterfall, rocks and jungle plants.